Contains 50% Pork which is rich in amino acids, vitamins and minerals and is full of flavour. 100% Grain and Cereal Free. Consists of 26% Sweet Potato, a complex carbohydrate that is high in B vitamins. 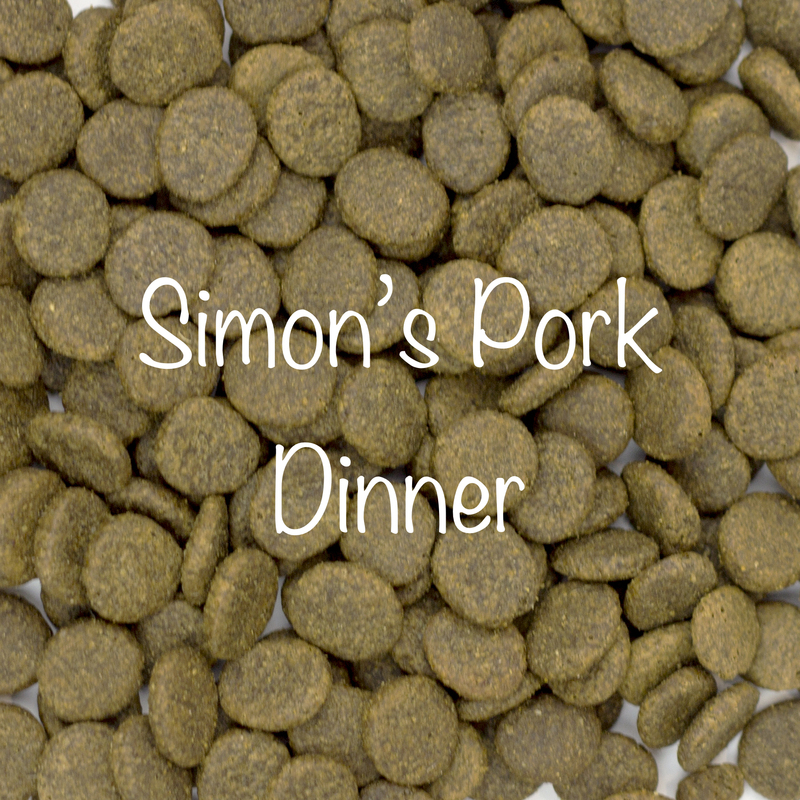 Contains 30% Fresh Pork vastly improving the taste of the kibble in comparison to brands who use only dried meat. Added Omega 3 Supplement provides an excellent source of EPA and DHA to support cognitive function, visual development and reduce the inflammation response. Pork 50% (including 30% Freshly Prepared Pork, 18% Dried Pork and 2% Pork Stock), Sweet Potato 26%, Peas, Potato 8%, Beet Pulp, Linseed, Omega 3 Supplement, Vitamins and Minerals, Vegetable Stock, Apple (equivalent to 7.5g per kilogram of product), FOS (92mg/Kg), MOS (23mg/Kg).